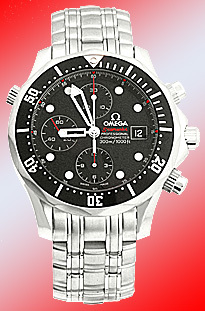 Gent's Stainless Steel Omega "Seamaster 300m Chronograph". 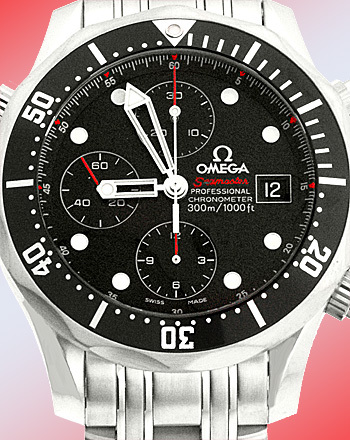 Black Dial with Black Subdials, Luminescent Markers, Subsidiary Seconds, Chronograph Functions and Date Indicator. 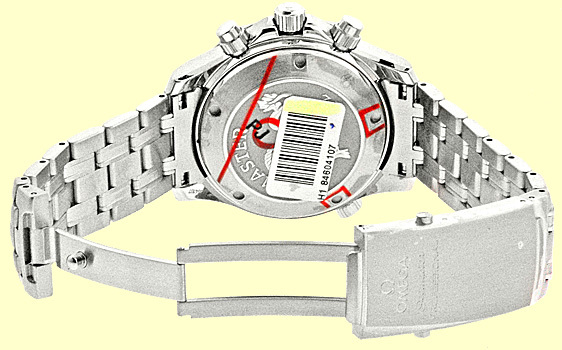 Stainless Steel Rotating Diver's Bezel with Black Insert, Chronograph Functions and Sapphire Crystal. Matching Stainless Steel Omega Seamaster Professional Bracelet. 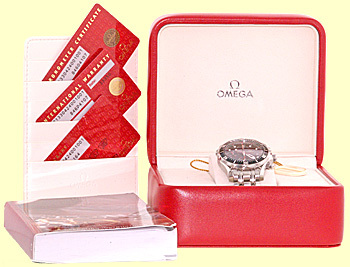 Brand New, Showroom Fresh with Omega Box, Booklets, Warranty Cards, Hang Tag and complete with Capetown's Lifetime Warranty! !